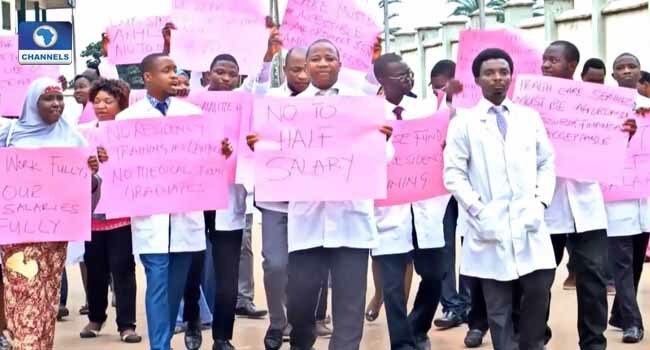 The National Association of Resident Doctors (NARD) has threatened to embark on a fresh strike. NARD’s spokesman, Mr Ugochukwu Eze, said in Kaduna that the association cannot guarantee industrial harmony after their scheduled meeting with the Federal Government on Saturday. “As the 21 days grace handed over to the federal government to resolve all lingering issues as well as the recalling of its members sacked by the Jos University Teaching Hospital (JUTH) elapsed on Thursday, May 31, we scheduled a meeting for June 2, while warning that we cannot guarantee industrial harmony,” he said. The decision of the resident action to embark on strike comes few hours after the Joint Health Sectors Union (JOHESU) called off their industrial action. JOHESU’s 44-day old strike that paralysed all activities in the nation’s public hospitals brought untold hardships on Nigerians. It is expected that the leadership of the association would meet with the Minister of Labour, Mr Chris Ngige this evening after the expiration of the 21-day ultimatum it issued the Federal Government. At the meeting, it would be decided when a threatened nationwide industrial action would commence. The development comes after the Joint Health Sectors Union (JOHESU) suspended its strike following the intervention of the Senate President, Mr Bukola Saraki. Last September, members of the association embarked on an indefinite strike to press the government to honour past agreements on staff welfare, payment of arrears since 2013 and deteriorating health facilities in government hospitals. The groups’ ultimatum expired on the day JOHESU announced the suspension of its own strike which lasts just over a month.